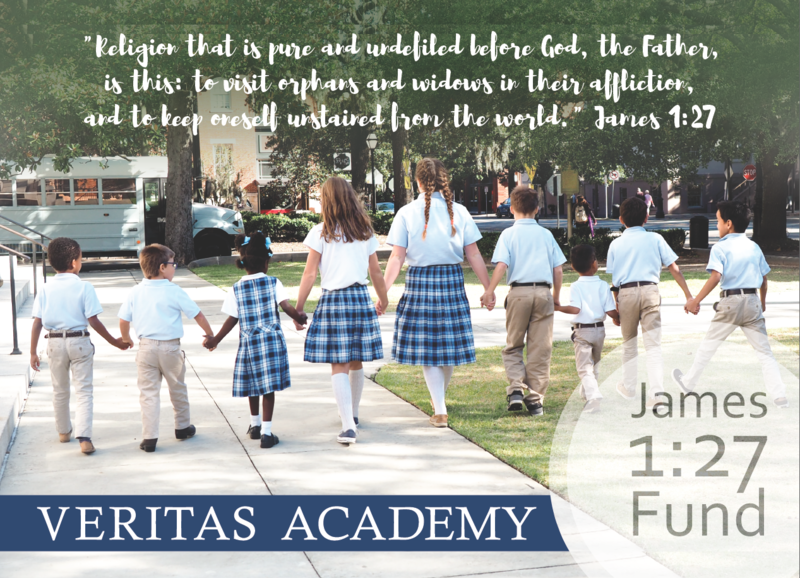 Donations to the James 1:27 Fund will provide tuition assistance to families with adopted children at Veritas. This fund is a tangible way to encourage and support families who have taken this special option for growing their families. Please partner with us by giving to the James 1:27 Fund. Your gift will make a difference in lives of many children. All donations will be tax-deductible. For more information about the James 1:27 Fund, click here. You can make an online donation using PayPal. It’s safe and easy. You do not have to have a PayPal account in order to use PayPal. Simply click the button below to get started.